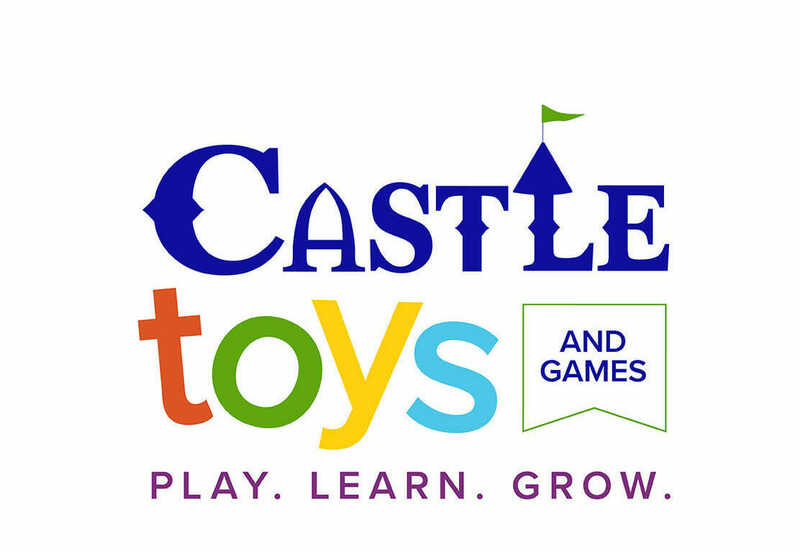 Castle Toys and Games operates in two Western Pennsylvania locations offering creativity, imagination and adventure! People in the neighborhood call them “the best toy store around Pittsburgh.” While they’re aiming to be the best toy store in the WORLD, they do love the local hype! They aim to stock the shelves with toys and games that are fun and educational for the whole family and range in appeal for kids with disabilities to the adventurous wild-child, to the sports enthusiast. 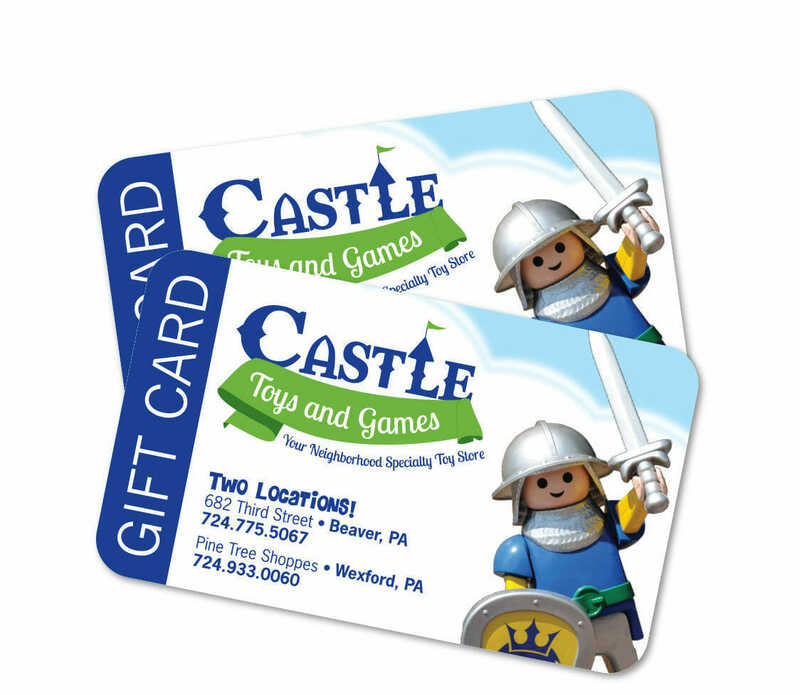 Our goals certainly changed many times over our decade-long relationship, but we set out to make Castle Toys & Games a household name in the Beaver, PA area. We wanted their store to be visiting for each and every holiday, gift-giving opportunity as well as a place to buy great toys without an occasion to celebrate. 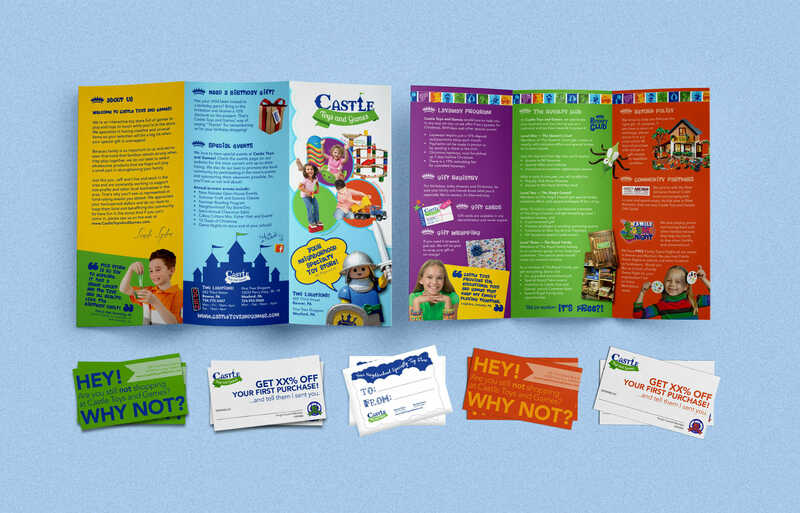 We began by recommending a new logo and bright color scheme that would attract kids and adults alike. 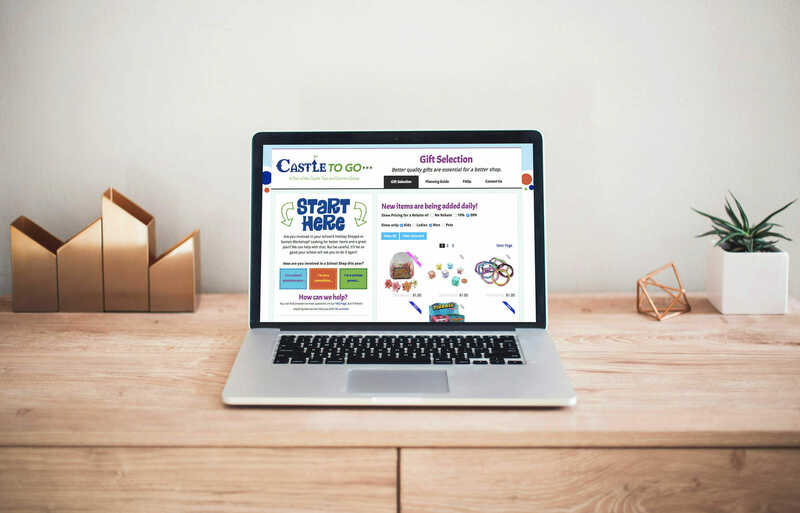 We also needed to show them as the industry experts that they were, so we would recommend online content, social campaigns and in-store events to drive that fact home. When Cassie first connected with the owners of this amazing toy store, she had two young kids at home and was the perfect demographic for the independent toy store. 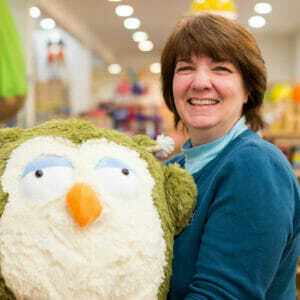 Her personal values aligned so well with the values of the store – it was kismet! Their initial needs were new logo design, including a slight name change. They had just moved to a new location and wanted to appeal to their audience with energy and excitement. This wasn’t just another toy store but they were toy experts. Geniuses in their field, they skillfully picked toys to represent their very unique store. The best part about them is that every toy is opened and able to be played with before purchase including all of the board games. Cassie and her children spent hours upon hours just playing in the store even if they didn’t make a purchase that day. But you better believe they were at the top of the list when that next birthday party or holiday came around. The open arms policy of their store created loyal customers year after year. It is like a family. After the initial logo design, we took on the position of brand manager for this now two-location store. 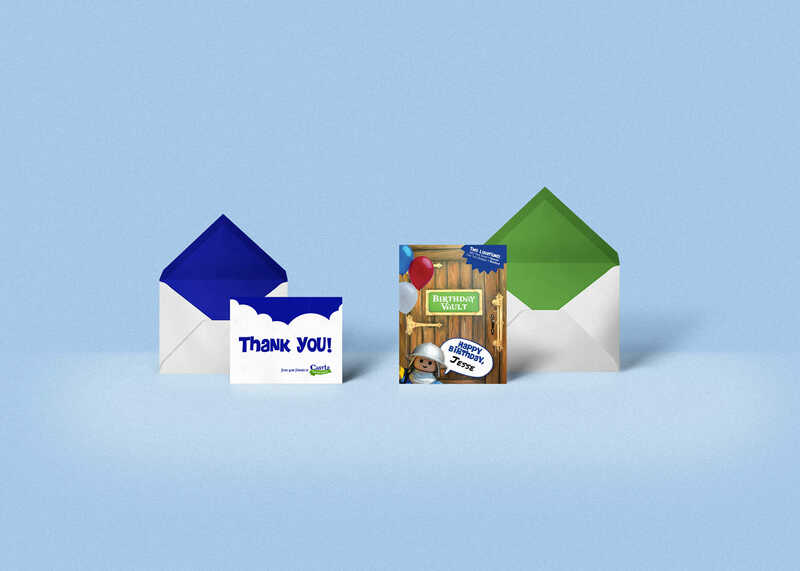 Over the years we have designed several websites, many direct mail campaigns, email newsletter templates, in-store signage, exterior signage, shopping bags and much more. What’s in that awesome bag? Their brand is spread throughout the Pittsburgh area and easily recognized in their local market. Their colorful shopping bags can be seen from a few blocks away and are prized possessions to the customers they serve. Their stores have become like a family member to their customers through branded events and their owners’ hospitality. We are thrilled to have this on our resume and in our lives.